Raleigh, NC — PrecisionHawk has entered into a Cooperative Research and Development Agreement with the Federal Aviation Administration to advance the research around unmanned aerial vehicles (UAV) across rural areas. FAA Administrator Michael Huerta announced the partnership this morning at the AUVSI Unmanned Systems Conference in Atlanta. 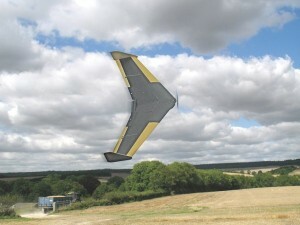 Brisbane Australia, 27 August 2014 – Unmanned Systems Australia announces that it has agreed with UVS to jointly market Maritime Unmanned Systems. Unmanned Systems Australia Pty Ltd is a UAS consulting and training services company that assist companies understand and enter the Unmanned Systems market. The joint marketing of unmanned maritime systems is the first of many jointly marketed products by Unmanned Systems Australia designed to help companies market their products to a growing unmanned systems environment across various domains. The Unmanned Systems market in Australia is experiencing a significant growth with over 130 certified commercial Unmanned Aerial operators in Australia. The growth in the Australian market for unmanned systems has almost doubled since Jan 2014. Unmanned Systems Australia and UVS believe that the combination of both airborne and maritime surface and sub-surface unmanned autonomous systems is a significant step forward in developing a combined maritime littoral autonomous unmanned system. “Australia has one of the longest coastlines in the world, and significant environmental and natural resources in the waters off the coast of Australia. Fisheries compliance, border security, coastal erosion, shark monitoring, water quality monitoring and hydrography can be greatly enhanced by the combination of both maritime and airborne systems working together” states Phil Swinsburg, Managing Director of Unmanned Systems Australia. Phil Swinsburg says that “the joint marketing of unmanned maritime systems is the first step in a broadening number of solutions being offered to future clients. 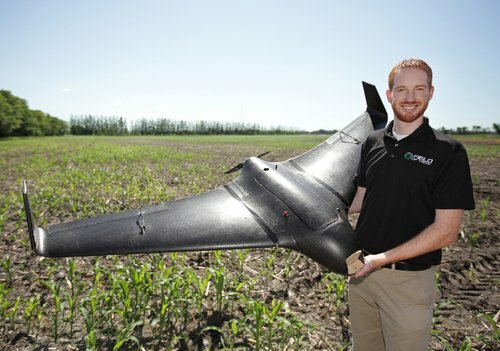 We are also expanding our airborne unmanned system companies that we partner with to provide a turn-key package to meet a wide variety of precision agricultural, infrastructure monitoring, environmental monitoring and emergency response solutions. We will assist companies in their approvals process with the Civil Aviation Safety Authority and provide OEM training and in-country support”. UVS provides an experienced unmanned maritime systems support capability in Australia through offices located in Newcastle, Melbourne and Perth. In the Defence market UVS supports the Royal Australian Navy (RAN) fleet of six Liquid Robotics’ Wave Glider vehicles and the REMUS Autonomous Unmanned Vehicles (AUV) operated by DSTO and Navy. In Offshore Oil & Gas UVS has extensive experience in AUVs for survey applications and ROV support including specification and sale of subsea components such as cameras, sonars, lights and connectors. The UVS engineering capability is often used by customers for application engineering and for integration of new components and payloads into ROVs and AUVs. The Liquid Robotics Wave Glider represents an innovative new capability for instrumenting the ocean. Powered by wave action alone, the Wave Glider is capable of autonomous operation for missions in the ocean of many months. Two Wave Glider vehicles have proven the endurance of the Wave Glider by completing a 9,000 nautical mile scientific journey across the Pacific Ocean to set a new world record for the longest distance travelled by an autonomous vehicle. Applications for Wave Gliders include Meteorological Data, Security and Border Patrol, Gateway for AUVs, Environmental and Geophysical monitoring. Both Unmanned Systems Australia and UVS believe that the combination of aerial and maritime surface and sub-surface vessels working together unlocks a significant increase in potential for unmanned autonomous systems to support maritime applications. Unmanned Systems Australia Pty Ltd is a UAS Consulting Company with over 20 years’ experience in operating Unmanned Systems and has been focusing on the commercial and civil UAS marketplace since 2008. Unmanned Systems Australia provides a turn-key solution through their UAS Business Solutions for companies and government agencies seeking to enter the unmanned market for commercial purposes. A growing list of partnered aircraft companies provide a menu of systems available for selection tailored to the commercial market. OEM training and after sales support is also provided. Unmanned Systems Australia Pty Ltd ABN: 48129675770, CASA UOC License number 1-11LN0P-01, CASA Safety Consultant License Number 06/829-26. UVS Pty Ltd has a history of ocean engineering excellence which dates back to the early 1980s. In Australia, UVS Pty Ltd is the exclusive representative for many of the world’s leading marine technology manufacturers. UVS capabilities are extremely comprehensive, specialising in sales, support and custom engineering to service clients in offshore oil & gas, naval defence, oceanography, hydrographic survey, underwater communications, geophysical exploration, autonomous and remotely operated vehicles and many other complex marine applications. UVS has always been at the forefront of introducing new and innovative technologies to the region and the Liquid Robotics Wave Glider is the latest example of this philosophy.